More than half a century later the Dalessandro’s Cheesesteak has kept our customers grinnin’ from ear to ear. 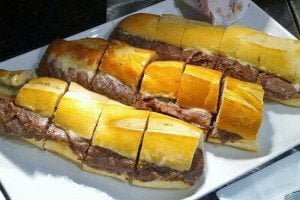 Our mom and pop shop in Roxborough, adjacent to Manayunk is home to the most desirable cheesesteak in Philly and beyond. Just ask anyone. 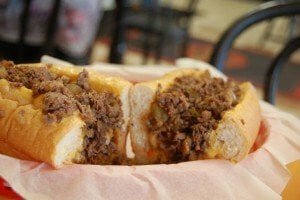 The Dalessandro’s Cheesesteak is like no other in Philadelphia, that’s why it’s the people’s and critics choice year after year. For starters, it’s fresh – I mean really fresh. When you pull up a bar stool and order, all you have to do is look and listen. Produce, bakery, and meat deliveries are going on as you bite into your sandwich. They don’t come once, but throughout the day over and over again. Add the musical symphony of the clanging spatula sound on the grill and you’re assured the tradition continues. Meat is finely chopped so that the delicious flavor of the cheese and onions finds its way through every piece of meat. It’s the perfect blend of grilled onions, soft roll, and cheese. That’s how we prepare our authentic steaks and we guarantee it. Want to dress up your sandwich while eating in? We got it, and it’s for free. A long chain of various peppers on the counter, from mild to really hot peppers that you can add to your cheesesteak is always present. When you bite into our steak after you’ve customized it, you’ll know the difference. You say you’re not a beef lover – no problem. Try the chicken steak. The same idea as beef steaks, but made with white meat – it’s just as fresh and tasty. One of the other unique characteristics of Dalessandro’s is, that you can order gourmet sodas, domestic and imported beers. Your options might overwhelm you, though. You have more than 20+ choices of bottled beer. Have we mentioned our hoagies? They’re on the sign outside the shop and on our menu for the same reason as our famous steaks. We have more than 10 hoagies and 7 burgers, depending on your mood, and we recommend them as well. But if you’ve never had our Cheesesteak that should be your first choice. Dalessandro’s also has something that many cheesesteak places lack… and that is atmosphere. You can eat at the old fashioned counter or in good weather out on the streetside terrace. My favorite city steak shop. Great tasting food that is prepared just right. Perfect quantity and the staff is very nice. Dalessandro’s was recently voted the best cheesesteak in Philadelphia, and with GREAT reason. 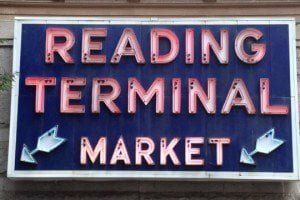 Their cheesesteaks are perfect – they’re not too greasy, have amazing cheese, and fresh, soft bread. The best cheesesteak in the world! Don’t waste your time going anywhere else. This is the Philly cheesesteak experience. Crowded, busy, lots of noise, not much room inside. All the focus is on the cooking and the eating and that’s okay with me. Dalessandro’s Steaks is a premier cheesesteak joint. 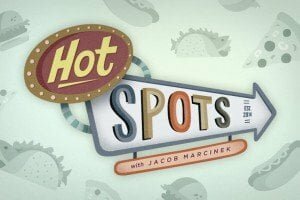 Minimal seating, lighting fast service, and a cheesesteak exploding with meat and other goodies. This place is old school and has its own rhythm… I love it! Perfectly authentic cheesesteaks! Steak chopped just right and cheese melted in. Excellent selection of choices and loved the hot peppers and pickles on the bar. Dallesandro’s is away from all of the tourist stops in Philly but it is definitely worth the ride. I’ve tried all the big cheesesteak players but Dalessandro’s is the best cheesesteak that I’ve had. Fresh, full of flavor, and great service. Drive out of downtown Philly and try this bad boy. Best steak I’ve had in Philly. They also have pretty good hoagies. It’s one of the few places that the food actually tastes exactly the same way it did when I was a kid. That consistency is the main reason why I love the place. I was thoroughly impressed. This is now my new favorite place for cheesesteaks. I have been to countless other cheesesteak places around Philadelphia and elsewhere, but none come close to Dalessandro’s. What makes it the best is that the cheese doesn’t lie flat on top of the bread – instead the cheese is melted into the steak.